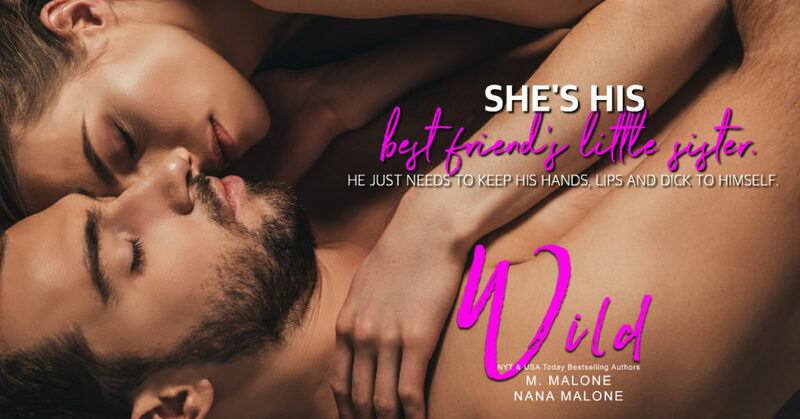 Wild by M. Malone & Nana Malone is AVAILABLE NOW! Loved this book so hard. M. Malone & Nana Malone have done an amazing job with these fun little books. I love a good friend to romance story. Wild was no exception to that. I loved Talia. She just wanted to be her own woman and live outside the shadow of her brother. Cage, well he needs a little work, but he’ll get there. This story was a quick read. Not that that’s always a bad thing. I love a good fast love story. This is one of those. Please check it out.